The 25-year-old righty was assigned to Pawtucket to begin 2015, where he has a 2.42 ERA and 23 strikeouts in 26 innings pitched. He has been particularly stingy with the long ball throughout his tenure in the organization. The home run he allowed on June 17 was the first since back on August 6, 2013, a stretch of 59 appearances. Since moving to the bullpen, he has given up only five homers in 168 2/3 innings. When Ramirez appears in a game, he will become the seventh player to make his major league debut with the Red Sox in 2015, joining fellow 2011 draftees Swihart and Travis Shaw. Spruill had been acquired from the Arizona Diamondbacks in December in a deal for reliever Myles Smith. 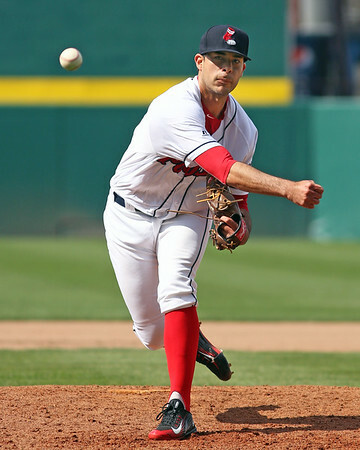 The 25-year-old has a 5.40 ERA in 24 appearances for Pawtucket.